We offer high quality phone cases and accessories for all popular smartphones and tablets! To all animal lovers, get a fancy phone case to show your affection for pets! Memorable high quality phone cases to stand out from the crowd and stress your own personality. Welcome to CasesSpace.com! If you are looking for high quality phone cases at great prices, you have come to the right place. We have a wide variety of styles and options for your iPhone or Samsung. 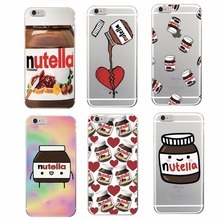 For starters, please check out our Best Sellers category to see some of our most popular cases. If you are an animal lover, sports fan, or a fashionista, we have categories just for you. If you are looking for the strongest protection for your phone, please check out the Heavy Duty category. Or if you are a person that likes to laugh, maybe you will like our Humor and Fun category. We offer both hard and soft cases, as well as a variety of textures and materials such as wood, leather, denim, silicone, and more. If you have any questions while you browse our selection, please send us an email, use our Contact Form, or leave a message with our Chat feature.